Lakeside Lodge & Spa is the top destination for 5 star luxury accommodation on the Garden Route. 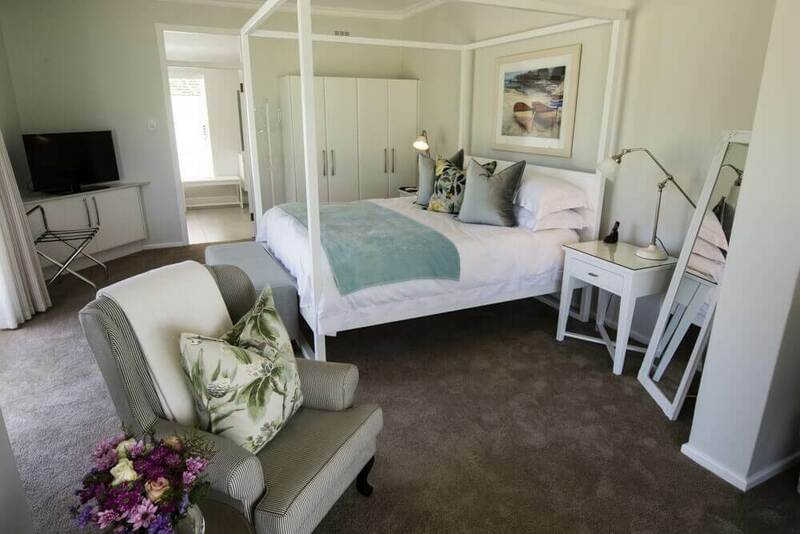 Located on the bank of the largest lake in the Wilderness National Park wetland area, Swartvlei Lake, the only thing more beautiful than the lavish accommodation is the breathtaking scenery. Lakeside offers guests an array of water sport activities, spa treatments, wine tasting experiences, delicious food and top class accommodation. Enjoy the complimentary use of our mountain bikes, canoes, kayaks, windsurfers, pontoon boat and fishing facilities when you stay with us. Book your stay at Lakeside Lodge & Spa for the ultimate Garden Route Wilderness experience.